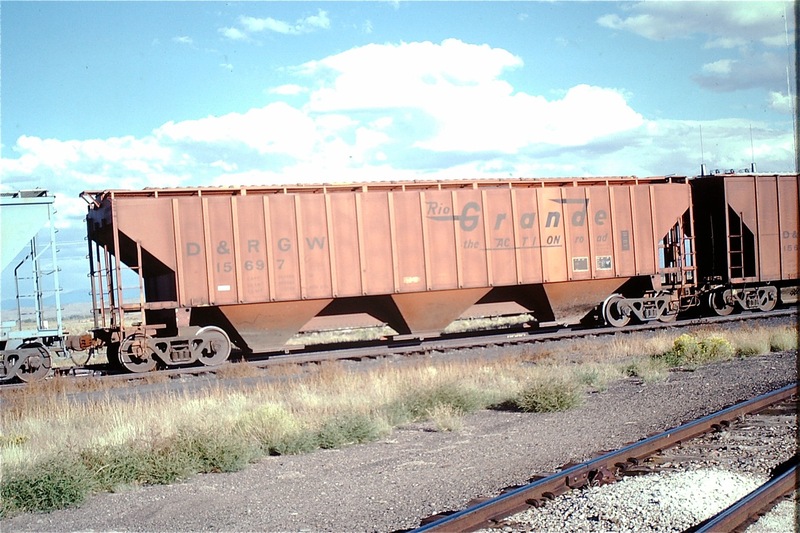 I am a big fan of the Denver, Rio Grande and Western. 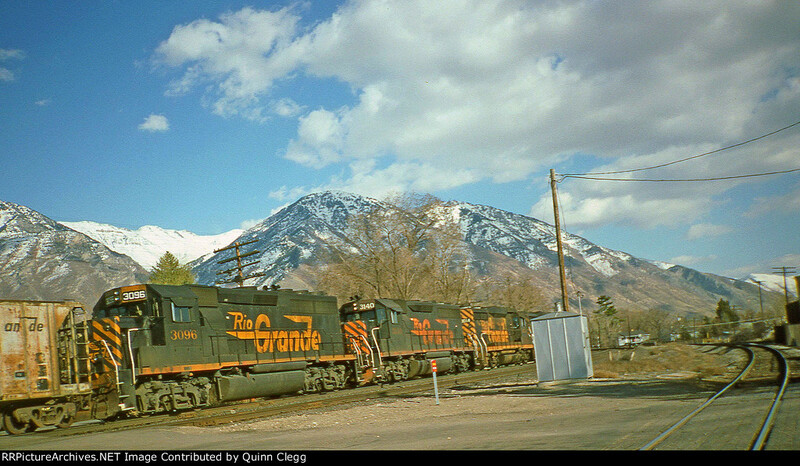 Unfortunately, the DRGW began to disappear in the 1990s as the effects of its 1986 merger with the Southern Pacific influence grew, but it really began to disappear in the early 2000s as the effects of its 1996 merger with the Union Pacific really took hold. 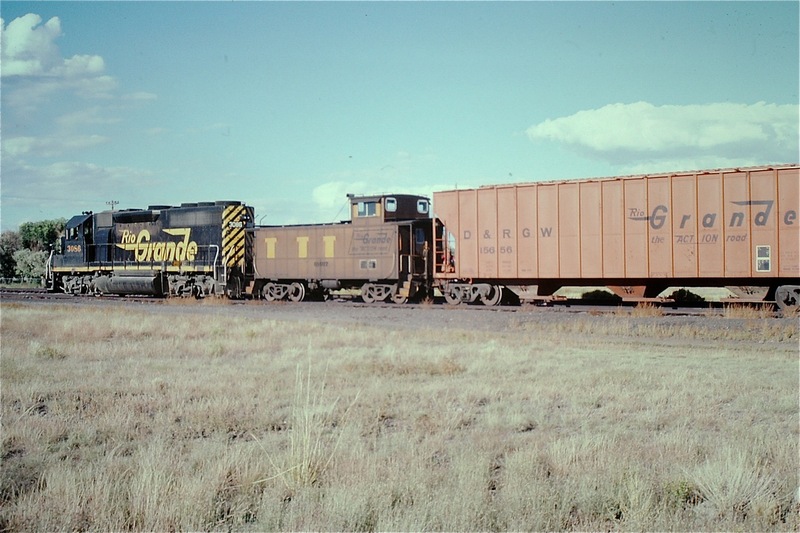 One of many segments of the Rio Grande that was interesting and scenic was the Alamosa Subdivision. 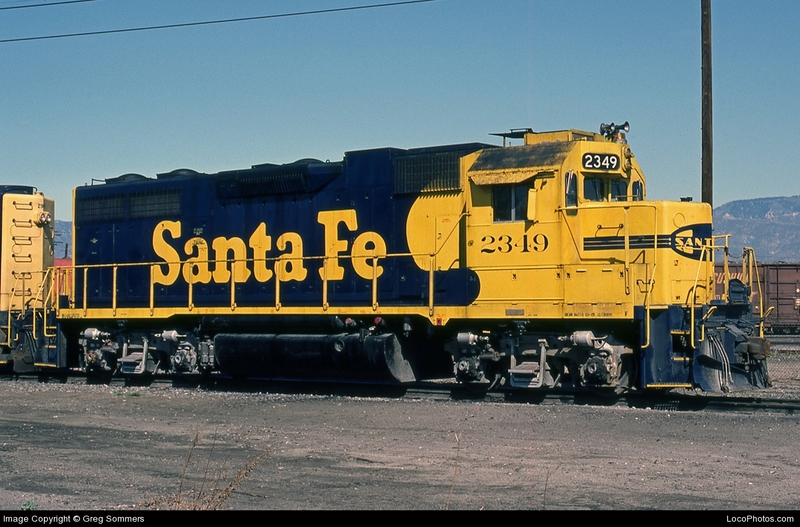 This post is going to focus on operations around Antonito, Colorado. The first segment will focus on when B. Smith visited the line in July of 1984. It was pure DRGW then. 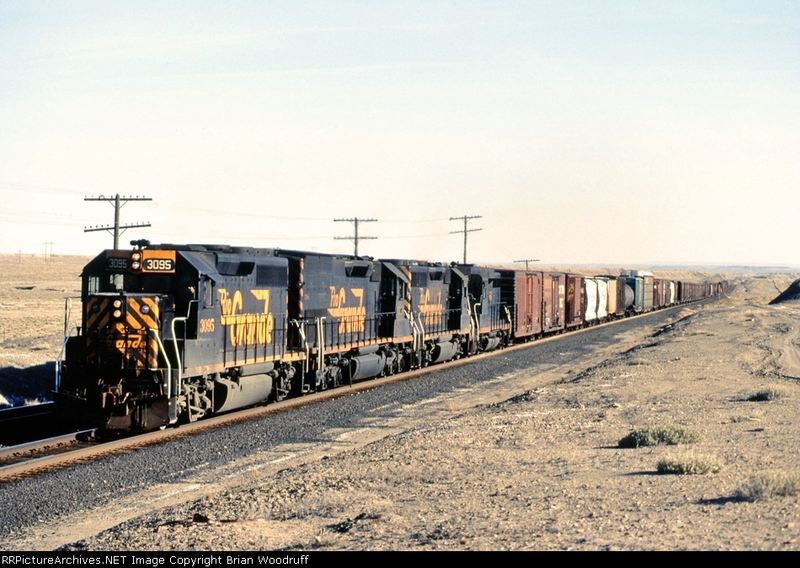 In 2003, James Griffin documented the action in the closing days of action that reflected the DRGW heritage of the line. His website does a great job of capturing that day in 2003 and I encourage you to check it out. 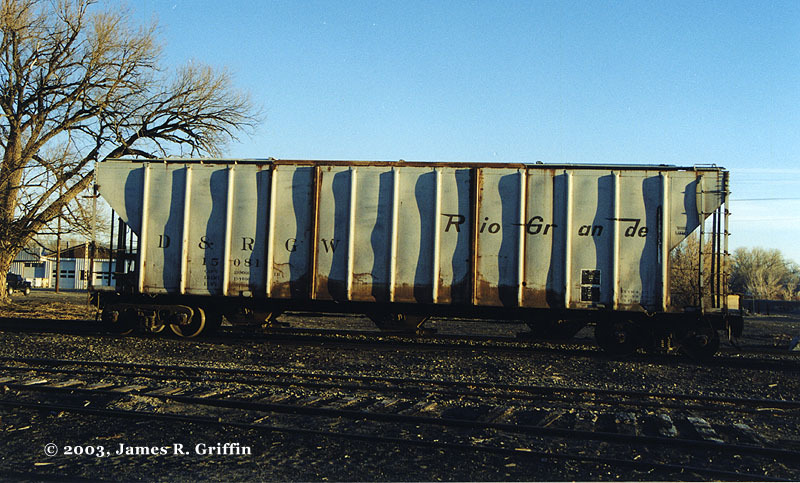 Griffin captured a photo of this DRGW perlite car sitting in Alamosa as he waited for the train coming down from Pueblo, CO. March 7, 2003.–©photo by James Griffin. 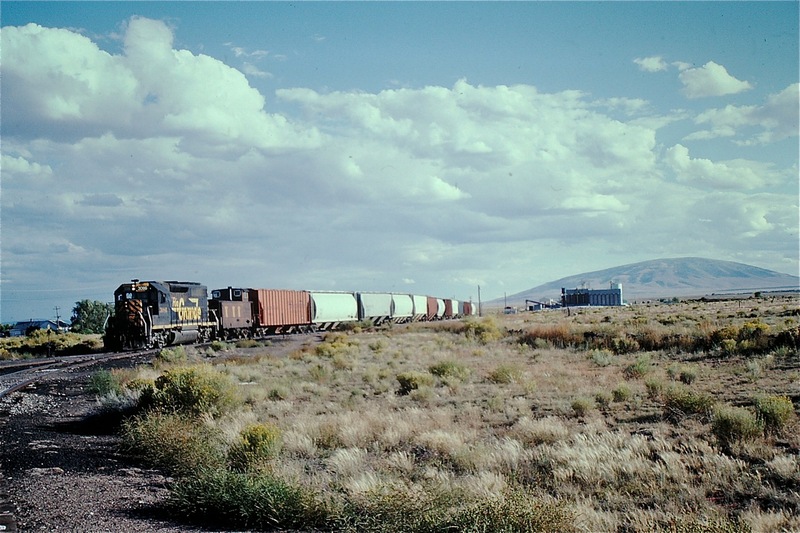 Train makes it way to Alamosa, east of Fort Garland, CO. –©photo by James Griffin. 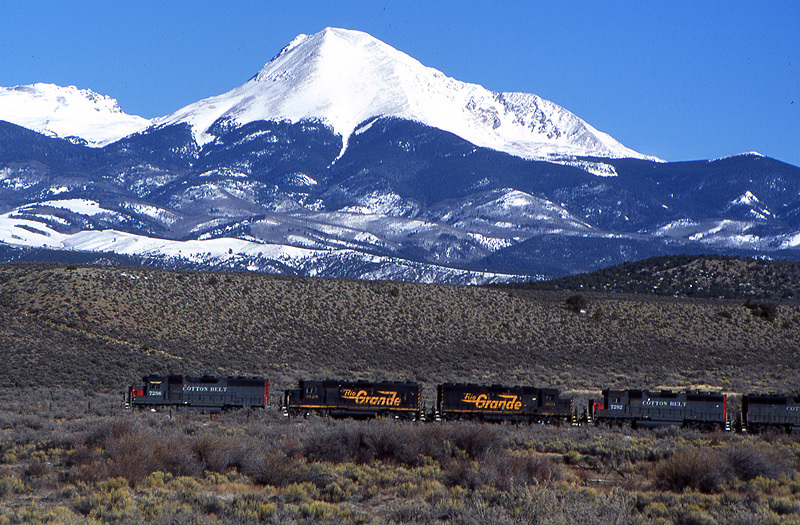 Stunning scenery near Trinchera Ranch Road, CO. –©photo by James Griffin. 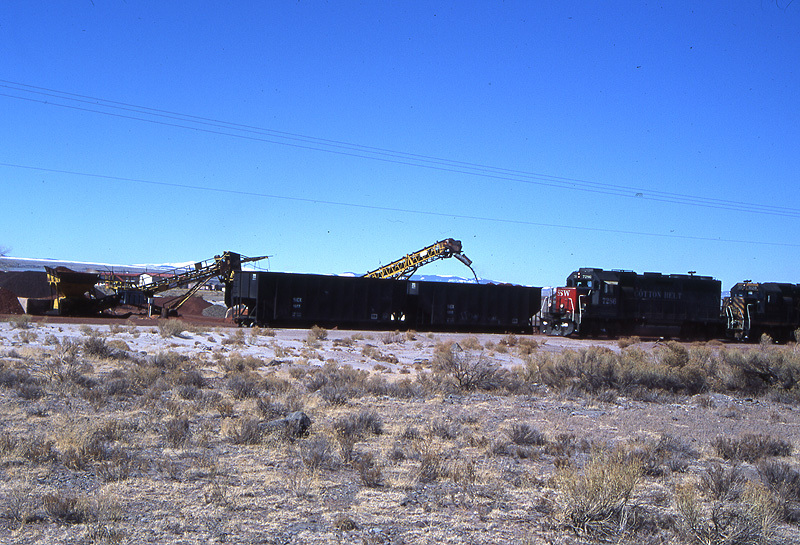 Scoria loading into open hoppers south of Antonito. 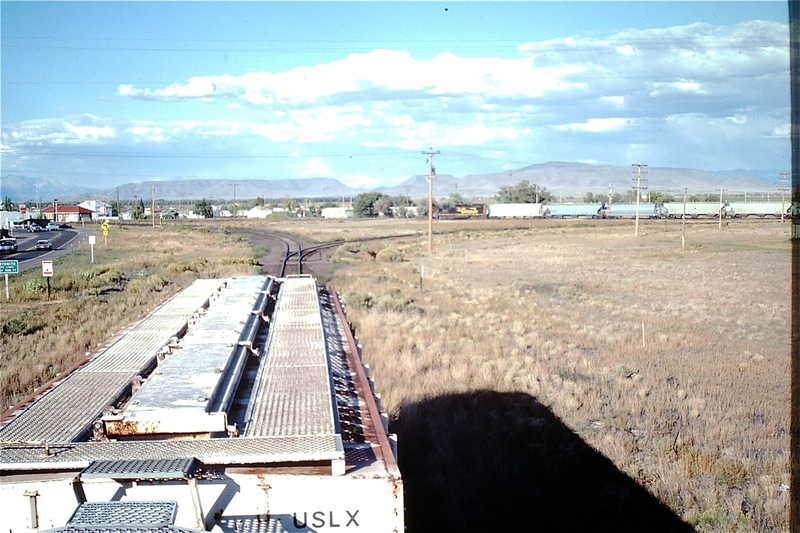 Locally mined scoria was added to the traffic mix after B. Smith’s visit in 1984. Scoria is volcanic rock primarily used for landscaping.–©photo by James Griffin. 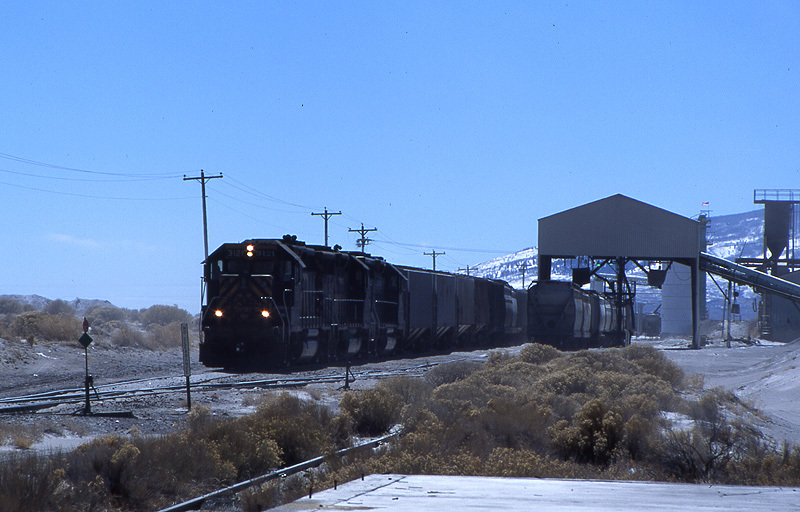 Leaving the nearby perlite plant which sits a little south of the scoria loading site.–©photo by James Griffin. This is only a small sample of the great photos James Griffin offers on his site. 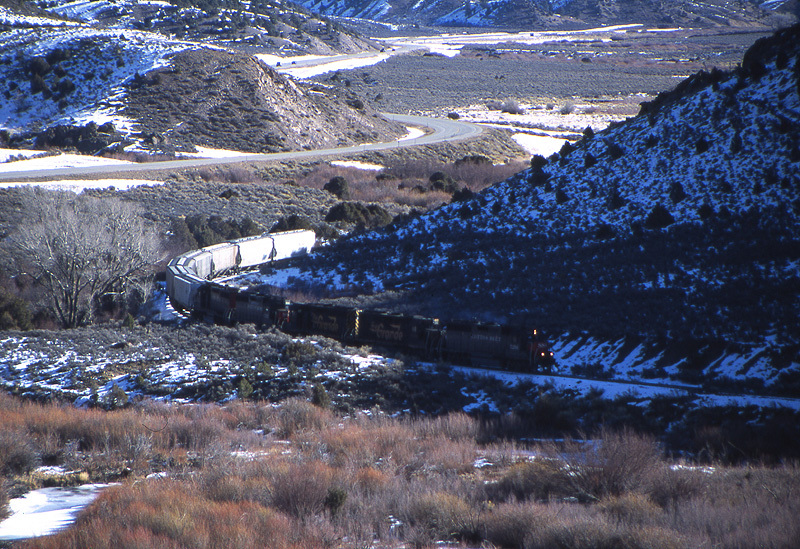 Today the line is now operated by the San Luis & Rio Grande which interchanges with UP at Walsenburg, CO. 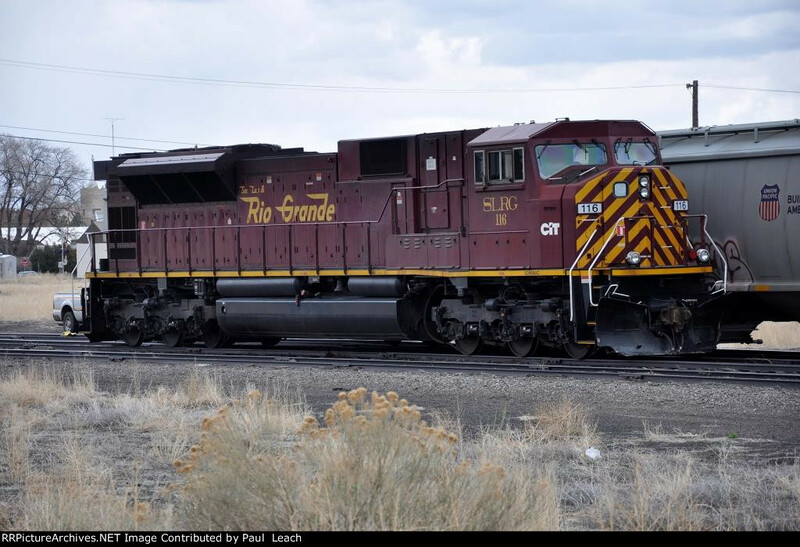 The spirit of the Rio grande lives on in the paint scheme of the SL&RG and the occasional DRGW car that makes an appearance. Modeler’s note: The DRGW offers interesting modelling possibilities during almost any of its eras. 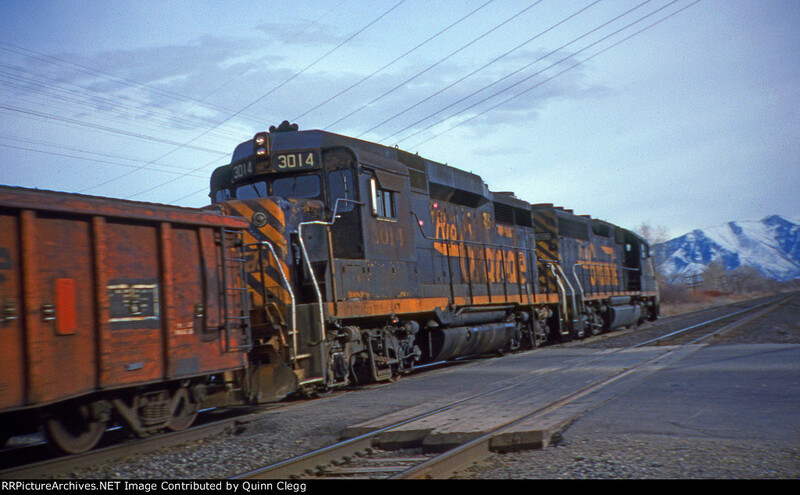 The 1996 to early-2000s window particularly intrigues me because of the potential to run mostly DRGW and SP motive power with the cars of the DRGW, SP, SSW (Cotton Belt), UP, Chicago and Northwestern, Missouri Pacific and Western Pacific all home road cars.